Animation Ireland and Animation Skillnet have announced that the two organisations will be coming together to host a series of panel discussions at Futurescope 2018 – May 31st. The theme of ‘Creativity Meets Technology’ will see the event explore topics such as: IP development for a changing distribution and consumer landscape; the future of interactive medical education; creative AI for virtual worlds; closing the content gap for AR and VR; and real-time production and changing production pipelines. The animation industry in Ireland has continued to rise from strength to strength in the past number of years, highlighted by the ongoing international success of animation studios such as Brown Bag Films, Boulder Media, Cartoon Saloon, JAM Media and Kavaleer to name a few. With millions of children watching animated programmes produced here, Ireland is a recognised leader for TV, Film, Games and Visual Effects and in more recent times, AR and VR. 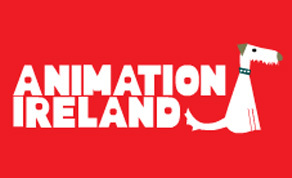 At the fulcrum of this booming and innovative industry is Animation Ireland and Animation Skillnet; two partnering organisations that provide industry support for its Producers, Writers and Directors; and technical training and upskilling for the talented professionals working in the sector. Animation Ireland are the trade association for animation producers, whose core objective is to establish Ireland as a creative centre for content and technology; while Animation Skillnet provide subsidised training solutions to the animation, games and VFX sectors- the affiliation of both parties has stood the test of time and proved that Ireland has that competitive advantage amongst its international peers. The morning will kick off with a keynote address from Intellectual Property specialist Rob Hudnut, who was formally the Head of Mattel’s Entertainment Division. Today he advises global studios, toy inventors and toy companies on creating franchises that inspire play and creating IP that has a global reach. In the days running up to the event, Animation Skillnet will be offering Mentoring Sessions for Irish Kids content producers with Rob Hudnut on Tuesday 29th May and Wednesday 30th May in the Guinness Enterprise Centre, Dublin. Connecting with Futurescope audiences through Science, Technology, Engineering, Art and Math (STEAM), there will also be an Animation and AR/VR showcase area featuring exhibitions, demos and targeted networking from companies such as 3D4 Medical, Artomatix, Brown Bag Films, Cleverbooks, HMH, Mu, Pink Kong Studios, Utility AR, VRAI, Visual/Vstream, Volograms and Warducks. Futurescope 2018 takes place in the Convention Centre on May 31st.